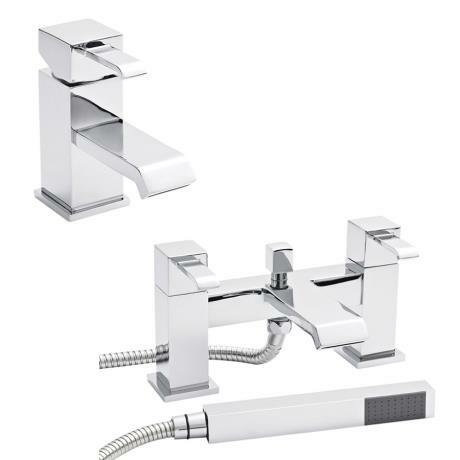 The Blake waterfall basin and bath shower mixer package from Ultra, a modern minimalist tap package characterised by its square columns, slim lever handles and sleek waterfall spout. Constructed from durable brass with a quality chrome plated finish. Supplied with shower kit & wall bracket. Complete your bath in style with the Blake tap package from Ultra. It delivers a stunning design as well as offering superb function. It is made from a brass interior giving it a strong and durable body, yet finished in polished chrome to give it a touch of style.